A user is working in a Sharepoint Library with a .ppt file that has been changed recently. If she opens the document with Sharepoint Online's Power Point, she is able to see the last version. If she tries to open it with the installed Office 2016's Power Point, she can only see an outdated version of the file. We've also tried copying the link from the file, and opening the file from the PowerPoint client's top bar menu. The original creator of this file also claims that he's suffering the same issues. It doesn't happen only with that file. Internet temporals and cache have been cleared. The entire Office has been uninstalled and installed again. Office package has been repaired. She's using Windows 10 with Office 2016. Her laptop is brand new (4 months) and have had no issues with the Office client until now. We are using Sharepoint 2016. Our IT support team claims that the issue is not on the client, but on Sharepoint. My team has been talking to IT guys and we don't see any problem with the file or with the current Sharepoint site. We've checked with the user that the problem is real and she's opening like the version 15 from 30, being 30 the last version. The users refuse to collaborate reinstalling more software at this point. Have you guys encountered an issue like this? I've seen this happen quite often. 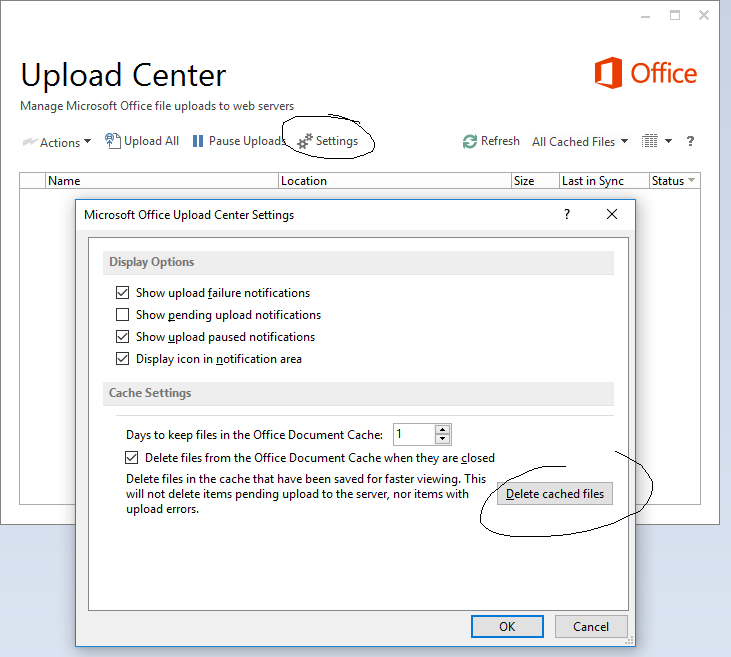 I don't know if you are aware, or tried this already, but Office caches documents in the 'Upload Center'. As soon as you open a document, it will store a copy in the local machine, and it this causes problems very often, such as the ones you describe. I can't guarantee that this is the fix for your issue, but you can give it a try. Have you tried seeing the version activities from the Activity Icon. Refer below it lists out all versions. And you choose to open the latest one. Not the answer you're looking for? Browse other questions tagged sharepoint-online document-library document office-web-apps office or ask your own question. Office 2013 32bit files will not open from SharePoint - Driving me to distraction!